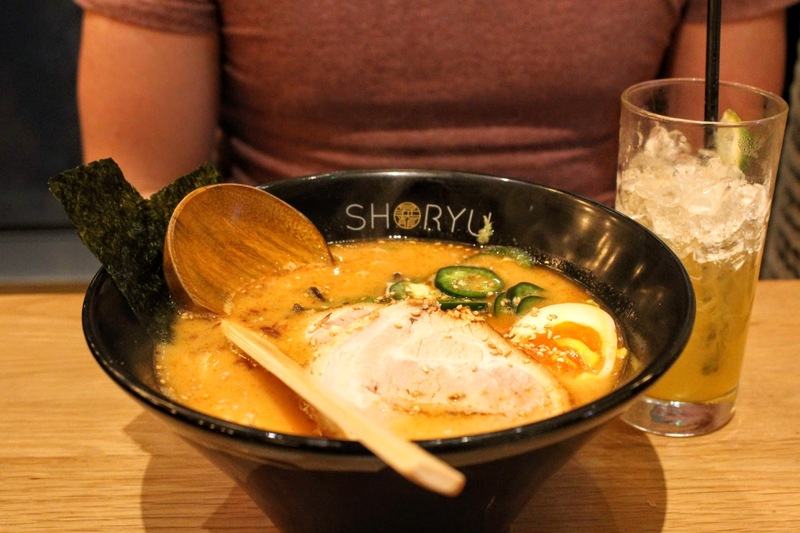 It’s been a long time coming to review Shoryu Ramen’s Manchester venue. 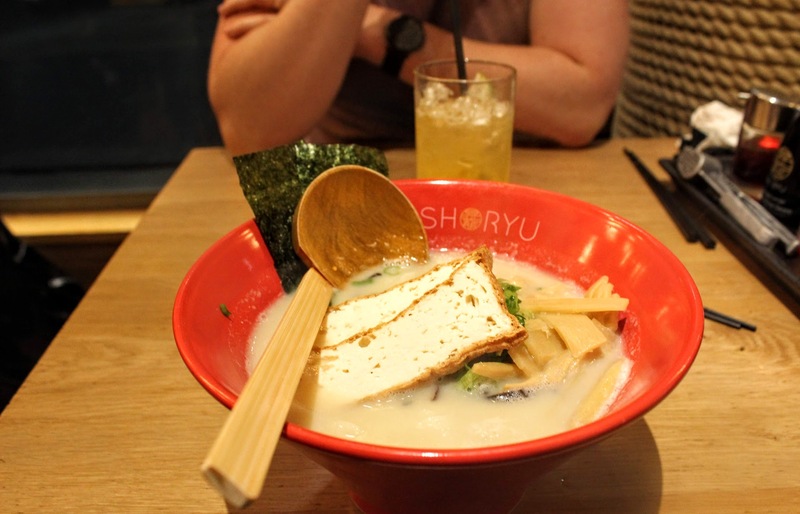 With ‘top notch’ ramen, ‘moreish’ street food and ‘exciting’ sake cocktails on the menu, this spot has been on the eating out hit list for a while, so I was excited to find out how the Japanese restaurant would live up to expectations. 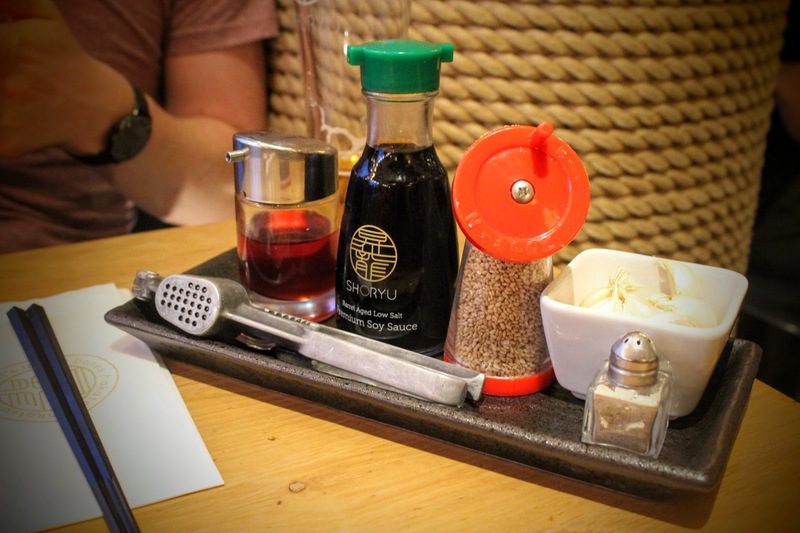 Busy and bustling on a Thursday evening, James and I were welcomed by the super friendly staff – shout out to Lisa who really looked after us – immediately immersed in the buzzing atmosphere. 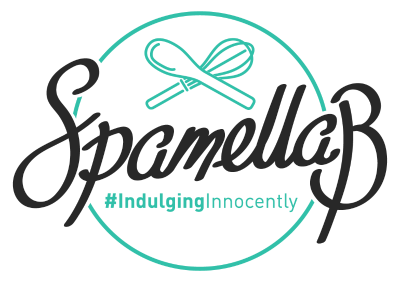 Whilst perusing the menu I noticed there weren’t any labelled gluten-free options [the menu is not gluten-free], and when I asked I was told they can’t be named as a ‘gluten-free restaurant’ as there aren’t separate spaces in the kitchen (so a no for coeliacs and severe allergies) – just something to bare in mind, gluten-free followers! Edamame beans were the only suitable starter which were pleasant enough although could have done with some seasoning – salt, chilli salt, garlic, even lemon juice – to help bring out the flavour but they filled the gap nicely before the main. 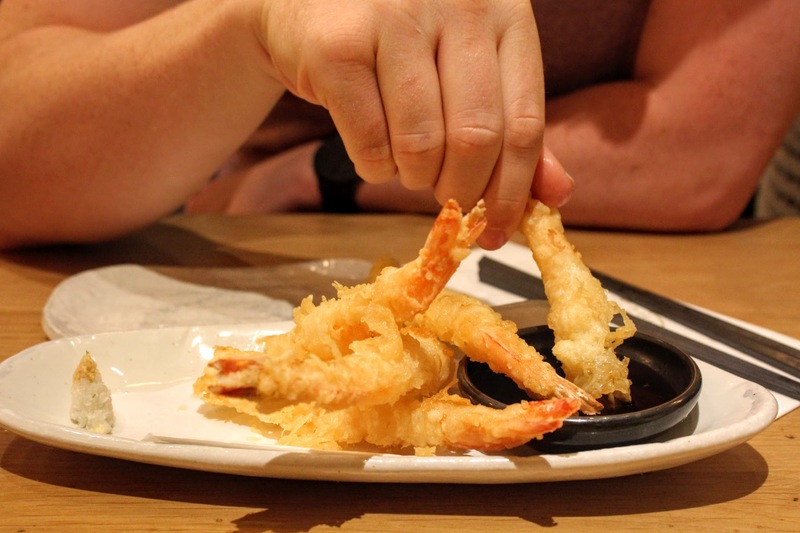 James’ Tiger Prawn Tempura were chunky, generous and crisp although lacking in flavour a little bit; the soya sauce and garlic dip helped to elevate them. It’s always nice to enjoy a decent cocktail made with quality ingredients and enough alcohol to actually taste it, and these did the trick. 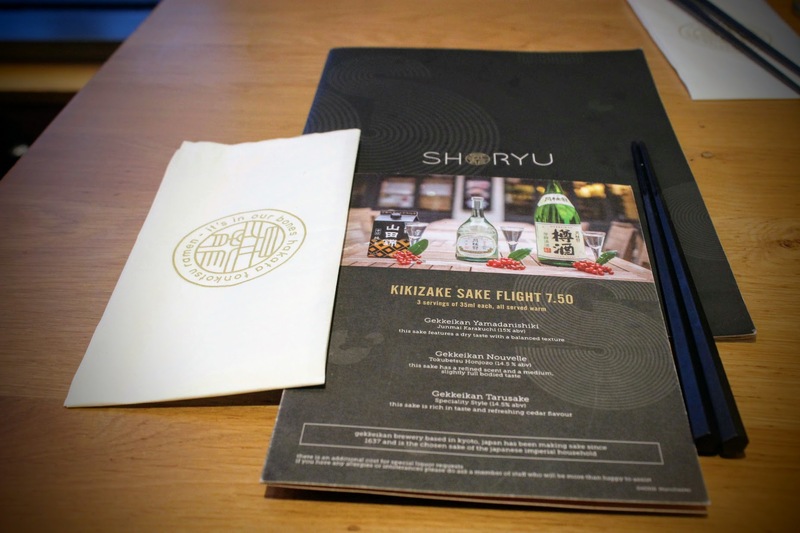 Combining a fusion of traditional Japanese flavours and ingredients ‘with a cheeky modern twist’. 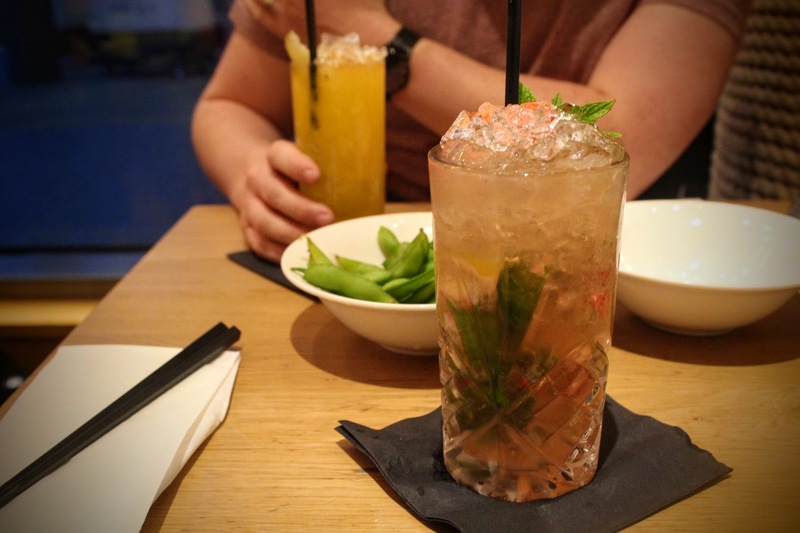 My Yuzu Mojito – fresh strawberries, mint, lime and homemade yuzu syrup, Bacardi white rum and yuzu umeshu over crushed ice – hit the spot with just the right amount of sharp and sweetness and plenty of refreshing mint. The Tiki Passion James was sweeter and stronger but just as delicious, a blend of coconut rum, cor cor red rum, passion fruit, orgeat syrup and angostura bitters. 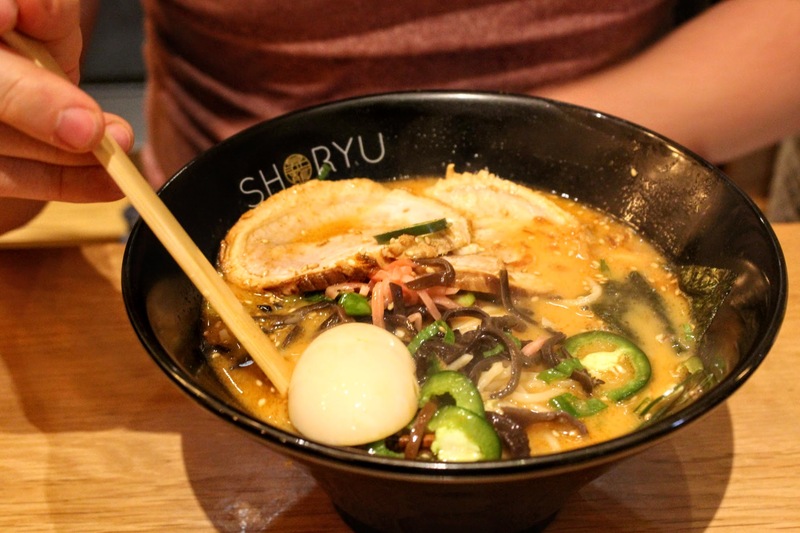 The heart and soul of our ramen is a rich and meaty 12-hour pork broth complete with a secret base motodare blend and topped with char siu barbecue pork belly, nitamago egg, kikurage mushrooms, spring onion, sesame, ginger and nori seaweed. 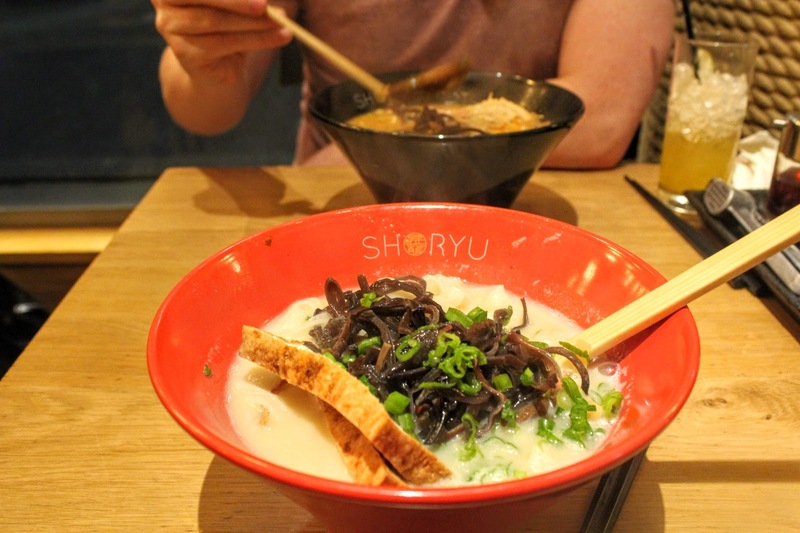 We also have a lighter tonyu soy milk, miso, konbu and shiitake mushroom broth ramen suitable for vegetarians too. James’ Piri Piri Tonkotsu with extra heat was tasty and certainly warming for the soul, which served with the standard noodle firmness was just right. Full of various components and textures a huge bowl like this makes is a filling and satisfying dish. My vegetarian White Natural ramen was more milky which I found unusual but enjoyable, a little on the bland side but nothing some black pepper couldn’t pep up. Although both full, we couldn’t miss out on dessert. 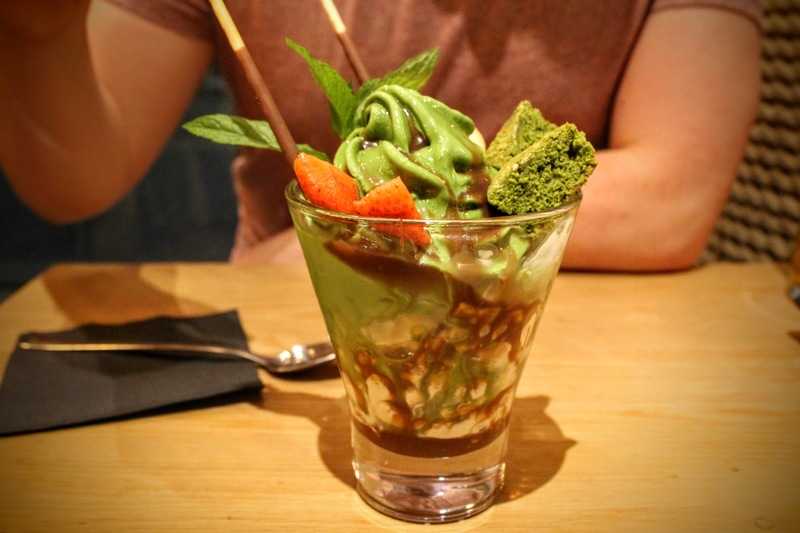 Most of us know that matcha has a distinct and strong flavour but James hadn’t tried it before; his choice of the matcha sundae wasn’t a hit although I nailed the bitter ice cream with crispy cornflakes and chocolate sauce! A slightly random mixture but it worked well. 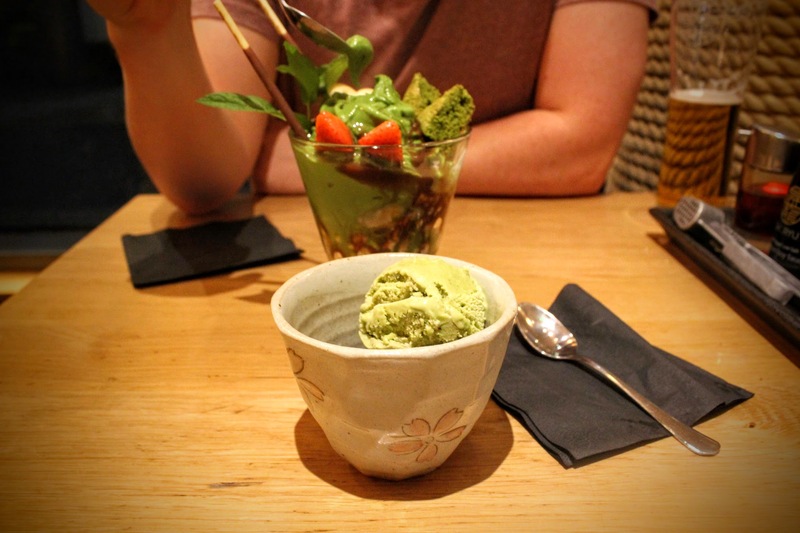 I also ordered my own dessert of two scoops of ice cream, sesame and (more) matcha, which were tasty but not particularly mind blowing. 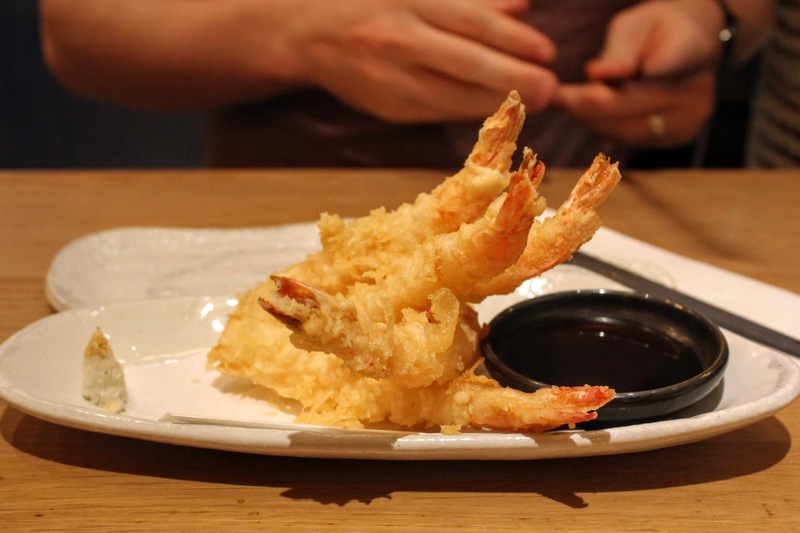 We had an enjoyable evening at Shoryu and loved the place itself; if there were few tweaks on the flavours, seasoning and maybe a couple more gluten-free additions it’d be bang on! 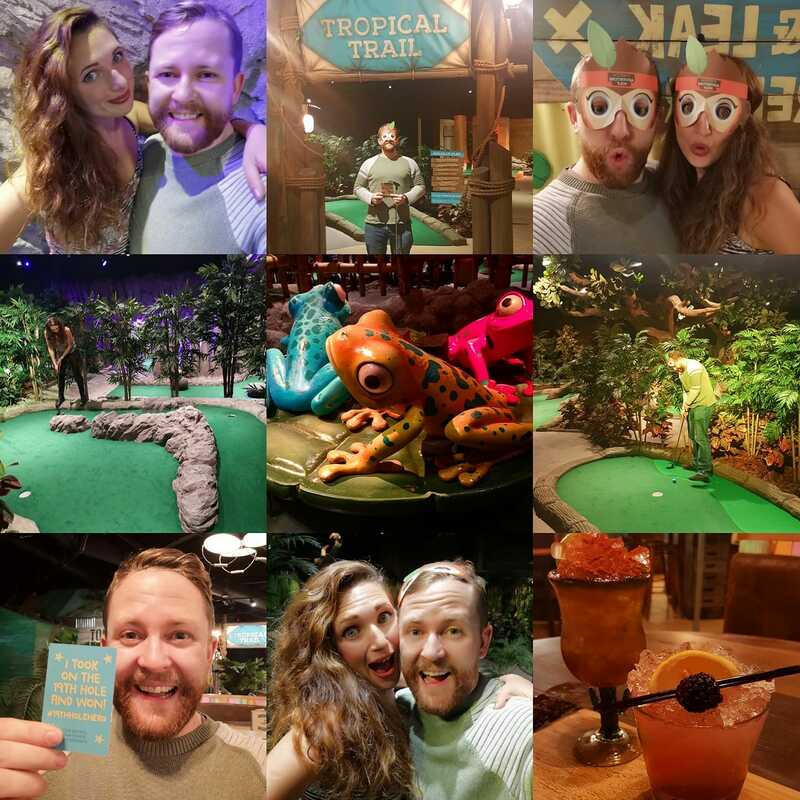 Once we’d devoured our feast, we then headed to Treetop Golf in the Printworks for a round of mini golf which was such good fun – a perfect date night – we’ll definitely be back!